AUG. 21, 2014 — We live in difficult times. Others live in desperate times. Despite the 24-hour news cycle, most Americans are seemingly unaware that terrorists are wiping out Christians in Iraq — Christians with roots going back to St. Thomas the Apostle. Under Saddam Hussein, the brutal dictator driven from power in 2003, radical Islam was held at bay and anti-Christian violence was minimal. However, after Saddam’s regime fell, Christians have been under fierce attack. Millions have fled and many thousands have been killed, often brutally. Proclaiming a caliphate (a new Islamic state) straddling Iraq and Syria, radical Islamists have swept across northern Iraq, pushing back Kurdish regional forces and driving tens of thousands of Christians and members of the Yazidi religious minority from their homes. With the rise of the Islamic State (formerly ISIS) over the summer, anti-Christian violence has gotten worse. 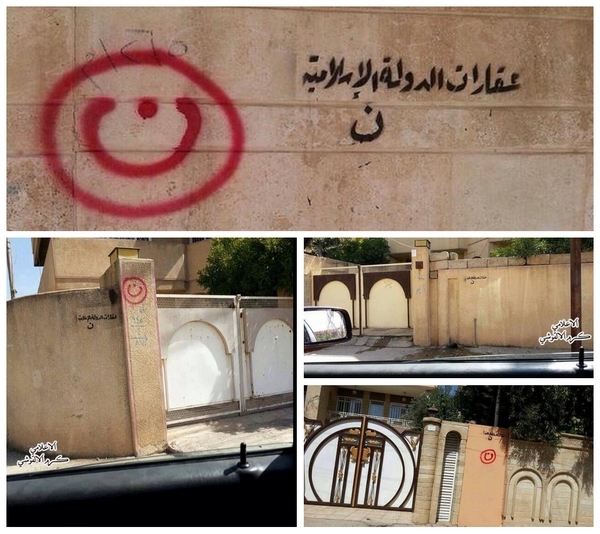 Christian homes have been painted with the Arabic letter ن (nūn) for Nassarah (an Arabic word for Christian) and a declaration that they are the property of the Islamic State. On 18 July, the jihadists announced that all Christians would need to leave or be killed. Many have been slaughtered, often beheaded. 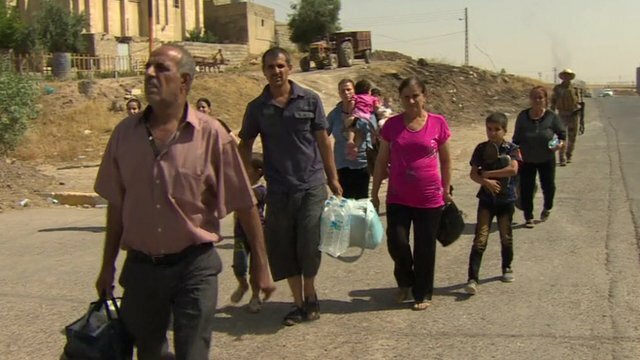 Today, there are no Christians left in Mosul for the first time in nearly 2,000 years. The situation is so bad that Pope Francis told reporters on the plane back from South Korea last week that force is necessary to stop the progress of the insurgents. 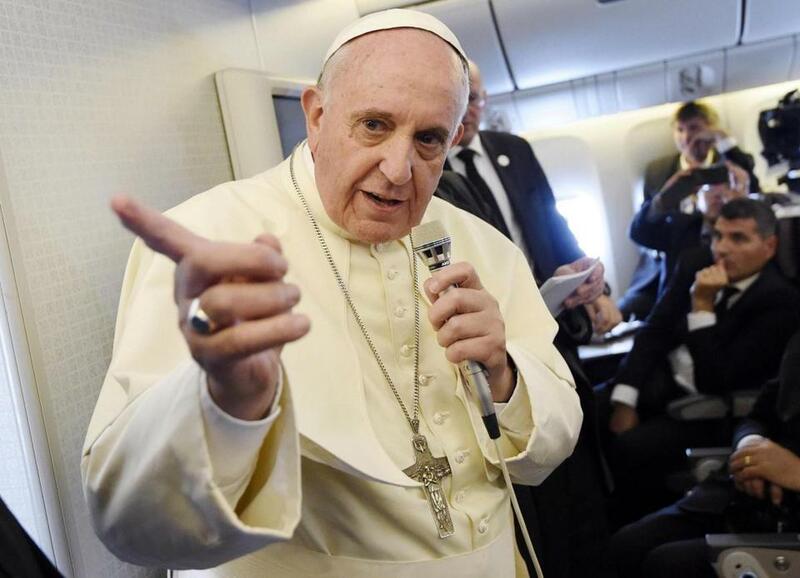 Reporters asked the Pope if he approved of U.S. strikes against ISIS. “In these cases, where there is an unjust aggression I can only say that it is legitimate to stop the unjust aggressor,” he said, stopping short of calling for bombing or all-out war. Being so far removed from the violence, most Americans are more concerned about the national economy, the upcoming mid-term elections and their own personal issues — whether that be health, employment, finances or family problems. In a country with a relatively stable political environment, it’s hard to wrap our heads around the situation in Iraq. But we must for two important reasons. First, Jesus made it clear that his followers make up his Body, the Church (Rom 12:5-6). When one part of the Body of Christ is threatened, we are all threatened. We must be in solidarity with persecuted Christians around the world, praying for them and with them. Second, military analysts say that the U.S. is more vulnerable to attack now than before 9/11. ISIS is armed, wealthy, and determined. Their leaders have made it clear that they have no intention of stopping with Iraq and Syria. They intended to ride the wave of violence all the way to North Africa, perhaps further. 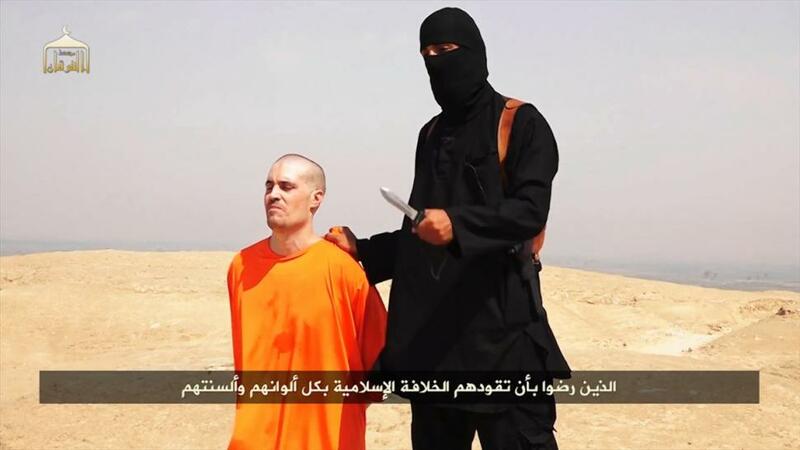 Jihadists beheaded American journalist James Foley in a video released earlier this week, and they say that America is on their hit list. The bottom line is that it’s sackcloth and ashes time. Christians in America must repent and turn back to the Lord with all their hearts or the prospect for peace will remain out of reach. PATRICK NOVECOSKY is the editor of this blog and the editor-in-chief of Legatus magazine. 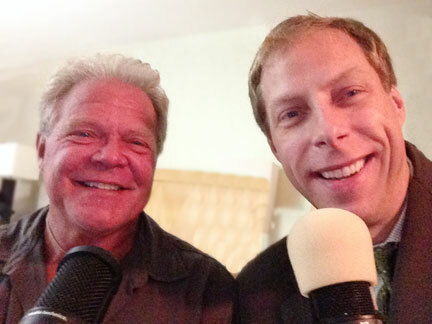 BIRMINGHAM, Ala. (May 21, 2014) — Deep Adventure Radio’s Bear Woznick took it out into the deep water today, interviewing Patrick Novecosky — editor of this blog and editor-in-chief of Legatus magazine — for his AdventureCast program, heard on stations across the country. Woznick asked Novecosky about his snap decision to run the Rome marathon a few days after Pope Francis was elected in March 2013. They then discussed Legatus, the membership organization for Catholic business leaders founded by Domino’s Pizza founder Tom Monaghan. In the third segment, the two talked about the cultural and political challenges for Catholic and other Christian business leaders, most specifically the Health and Human Services (HHS) contraception mandate. Legatus members are leading the fight to overturn the mandate. They also talked about the influence of business leaders and their responsibility to be steeped in the virtues. Bear Woznick is a two-time Masters World Champion tandem surfer. 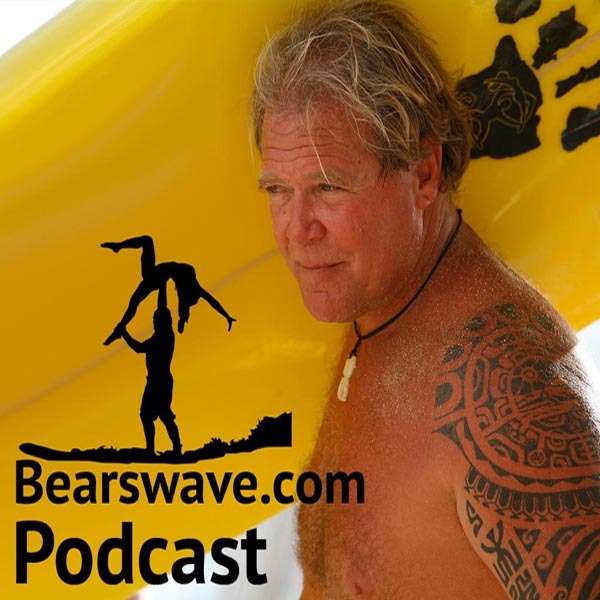 He is featured in TV’s “Clean Break” reality adventure series, has a weekly four-minute “Deep in the Wave” radio segment and posts weekly podcasts, blogs and video logs at BearsWave.com. Woznick lives on the beach in Waikiki, Hawaii, and is married to his Swedish bride Talin and is the father of four: Fawn, Jeremiah, Shane, and Joshua. CLICK: Listen to the entire interview. 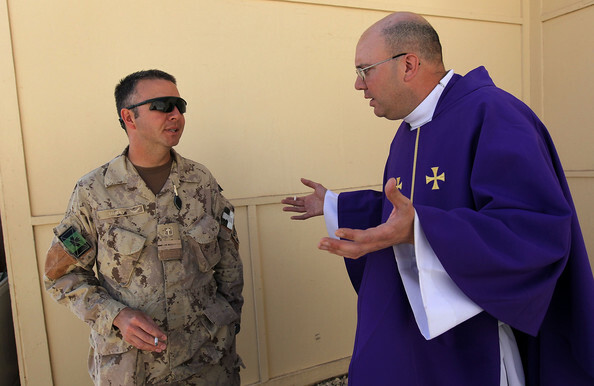 NOVEMBER 1, 2013 — For most people, it wouldn’t be unreasonable to allow Catholic priests contracted by the government to voluntarily minister to our troops, including Sunday Mass during a partial government shutdown. But that wasn’t the case last month. One priest — Fr. Ray Leonard, a contractor at Naval Submarine Base Kings Bay in Georgia — sued the federal government for access to his base. He did not withdraw the lawsuit after the government ended the shutdown in mid-October. Contrary to what the mainstream media were saying, 83% of the federal government was still funded and operating during the so-called shutdown. And for two Sundays in early October, President Obama’s Department of Defense prohibited 50 Catholic priests from saying Mass and administering other sacraments at U.S. military facilities across the country. While Catholic priests were barred from military bases — even to voluntarily administer the sacraments — Protestant ministers were unaffected by the shutdown. The government has not explained the discrimination. 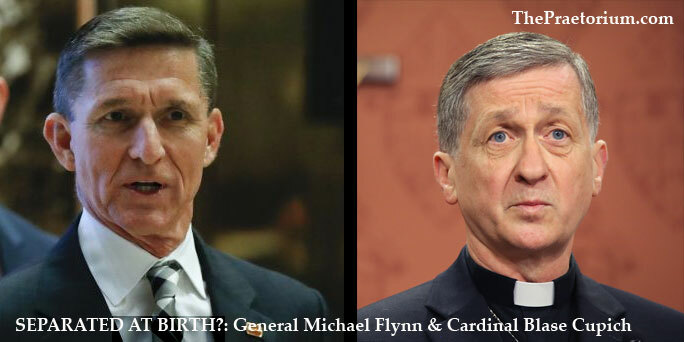 By singling out Catholics, military leadership tipped its hand to a deeper vein of contempt for Christians in the U.S. armed services. 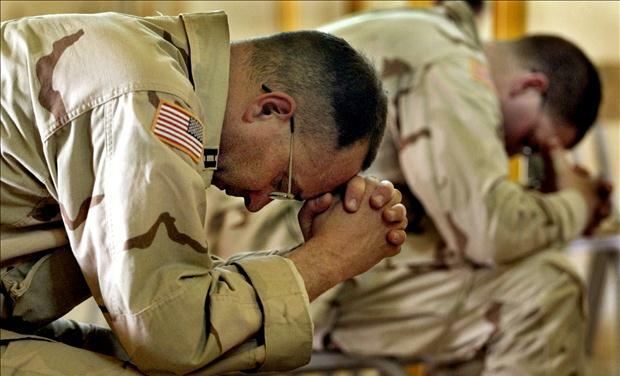 Christian men and women in uniform are being told to park their beliefs at the door or face the consequences of a military that is rapidly being secularized. But our First Amendment freedoms do not end when we enter the classroom, the courtroom, our business place — nor should they end when we enlist to serve our country in the military. PATRICK NOVECOSKY is the editor of this blog and the editor-in-chief of Legatus magazine. This article appeared in the November issue of Legatus. It is reprinted with permission. The world has been on edge for more than a month over the civil war in Syria, and whether or not the U.S. should intervene militarily after the alleged use of chemical weapons by the Assad regime on Aug. 21. 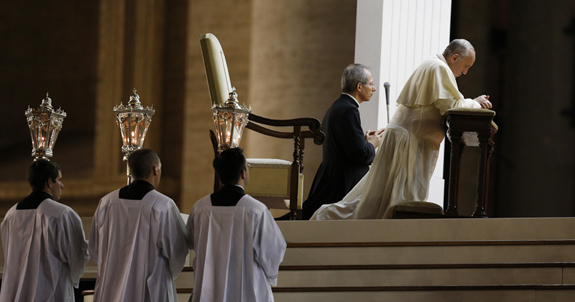 Pope Francis called for a day of fasting and prayer on Sept. 7. Catholics and non-Catholics alike from around the world prayed for a peaceful solution to the conflict, and more than 100,000 people gathered in St. Peter’s Square with the Pope for a five-hour vigil on the eve of the Birth of the Blessed Virgin Mary. Incredibly, some in the mainstream media were critical of the Holy Father’s message. Mark Phillips, reporting for CBS This Morning, said that the Pope had “taken sides” and waded into “politics” by calling for peace. He hinted that Pope Francis has chosen Russian President Vladimir Putin’s position over that of President Obama. There are several lessons to be learned here. 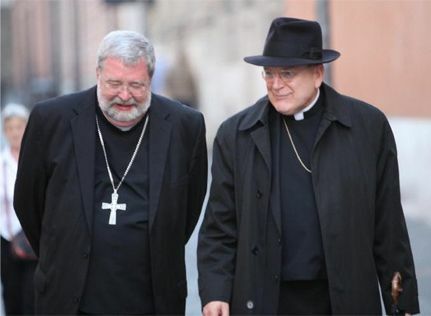 First, the Church will always stand against violence when there is an opportunity for peaceful dialogue. Blessed John Paul II pleaded for peace in the lead-up to the first and second Gulf Wars. The secular media embraced his position. Pope Francis is doing nothing different. The message is the same. The difference is politics — specifically the politics of the man in the Oval Office. My critique here is not of President Obama, but of the liberal secular media whose members stretch their news reports to fit their political ideology. This leads to the second lesson: Do not trust the secular news media. If you haven’t picked up on it, the mainstream news machine has an undeniable bias against Christianity — and in particular against the Catholic Church. 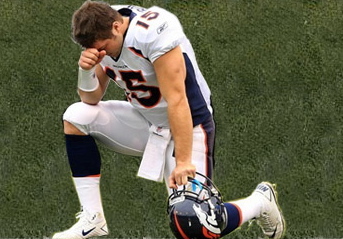 Case in point: Their blind mission to destroy Sarah Palin and Tim Tebow. Informed citizens must have access to truthful, unbiased reporting. Unfortunately, that’s a rare commodity these days. Fortunately, alternative media — blogs and web-based news sites like Breitbart, LifeSiteNews, OneNewsNow, The Blaze and others are delivering what the mainstream media refuse to give us. No matter what side the secular media comes down on, the Catholic Church will always stand for peace over war, life over death, and Christ over the world. And it’s our job to make sure we are on His side because our choices have eternal consequences. PATRICK NOVECOSKY is the editor of this blog and Legatus magazine’s editor-in-chief. MARCH 23, 2013 (VATICAN CITY) – Patrick Novecosky, editor of this blog, was a guest on SiriusXM’s Family Talk Channel for two consecutive weeks. 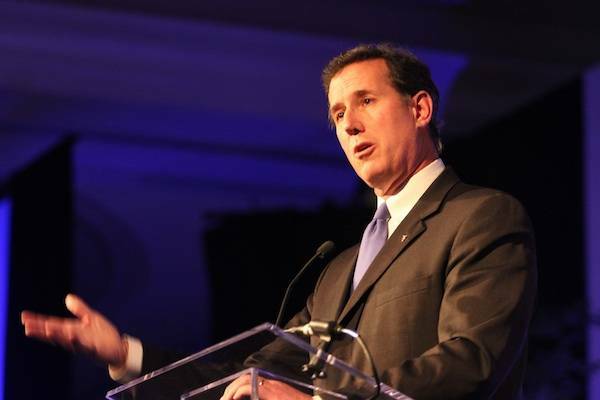 Steve Peroutka, president of National Pro-Life Radio and host of Sirius XM’s Face the Truth Coast 2 Coast, interviewed Patrick during his March 16 and March 23 programs. On the first program, broadcast March 16, Patrick talked about being part of history during the election the dynamic new Roman Pontiff — Pope Francis — the former Buenos Aires Cardinal Jorge Bergoglio as the 266th successor of St. Peter. The Argentinian cardinal took the name Pope Francis. On the second program, they spoke about Patrick’s last-minute decision to run in the 19th Rome Marathon. Other topics of conversation: Pope Francis, his audience with journalists, and how John Paul I set the stage for a new era of the papacy. 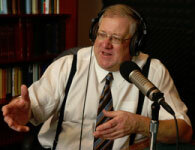 Listen to the March 16 program by clicking here. Listen to the March 23 program by clicking here.